Fire Starter Paracord Survival Bracelet | BUDK.com - Knives & Swords At The Lowest Prices! With 16 feet of durable paracord, a fire striker and flint all rolled into one stylish bracelet, you'll be ready for whatever comes your way! 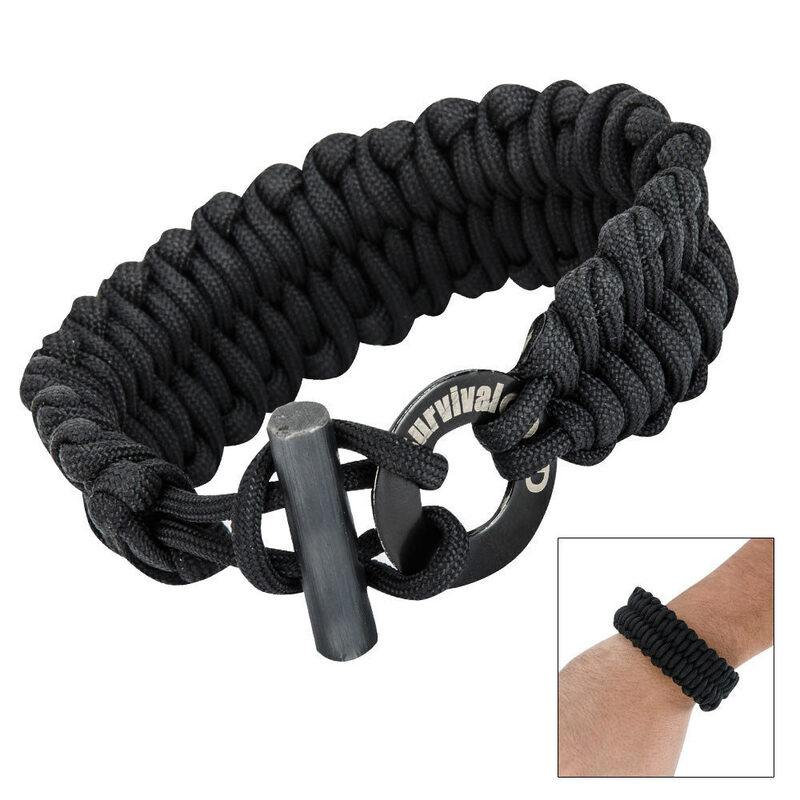 This heavy-duty paracord bracelet features a toggle-style closure with a built-in fire striker and flint. What better way is there to have a complete fire starter kit with you all the time than wearing it right on your wrist? Awesome! A little big on me, but if you've ever tried to make fire with a bow drill, then you understand the importance of this tool.